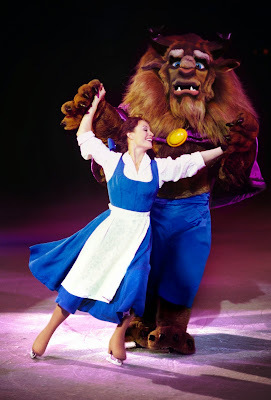 Disney On Ice is returning to Manchester in October with the spectacular production of 100 Years Of Magic. It promises to be the celebration of the century, bringing to life Disney’s most remarkable characters from across the decades including Mickey Mouse & Minnie Mouse, joined by friends from the much loved Disney favourites such as Beauty & the Beast, Toy Story, The Little Mermaid, Finding Nemo, Peter Pan and many more! Join the celebration as more than 60 of Disney’s unforgettable characters from 18 beloved stories come to life in Disney On Ice celebrates 100 Years Of Magic! You’ll be captivated by the one and only Mickey Mouse, the irresistible Minnie Mouse, Goofy, Donald Duck, Jiminy Cricket, Pinocchio and many Disney Princesses. Be thrilled by exciting moments from The Lion King; Mulan; and Disney/Pixar’s Finding Nemo, The Incredibles, and Toy Story films; in a skating spectacular filled with magical Disney moments you’ll remember forever as Disney On Ice celebrates 100 Years Of Magic comes to Manchester! 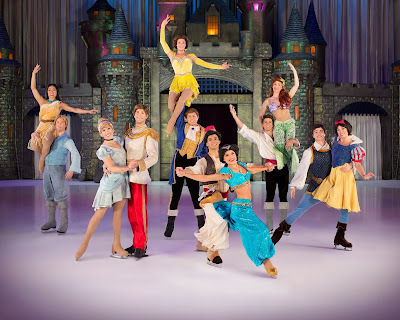 Second Time Mummy has teamed up with Disney On Ice to offer one lucky person the chance to win a family ticket* (*admits 4 people), to see the show at Phones 4u Arena Manchester on Thursday 16th October. What is the name of Buzz and Woody’s cowgirl friend? .... and confirm your entry on rafflecopter form. Good luck! The prize is a family ticket (admitting 4 people) to go and see the Manchester showing of Disney On Ice - 100 Years of Magic at the Phones 4 U Arena on Thursday 16th October 2014. Travel and accomodation are not included.